The new STEM book by Banks and Barlex Well I would be a fan wouldn’t I? 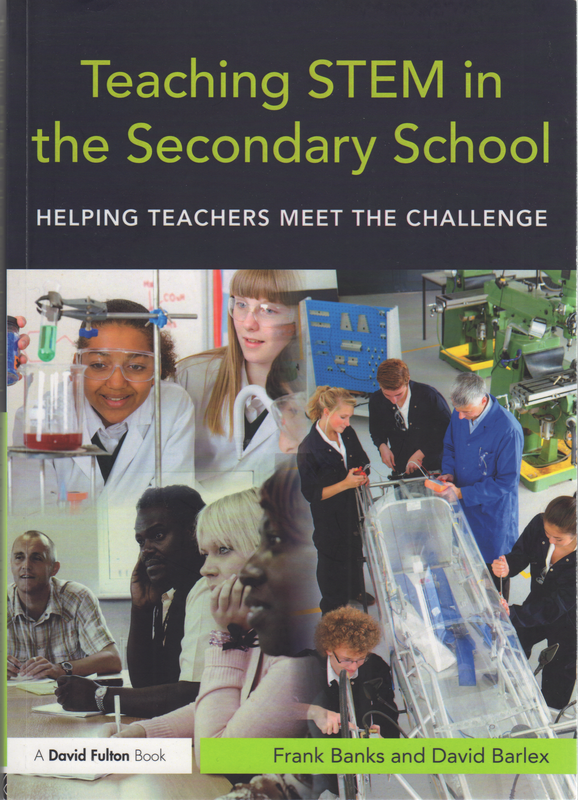 Both Frank Banks and I are delighted with our new publication Teaching STEM in the Secondary School Helping teachers meet the challenge. It took a long time to complete what with changes to the National Curriculum coming and going whilst we were writing but we believe that the end result will be useful to those who teach science, design & technology and mathematics. Central to the book is the idea of professional conversations between teachers of the different STEM disciplines; conversations which acknowledge the legitimate differences between the contributing subjects and enable those subjects to maintain their individuality and integrity in the curriculum relationships that result from the conversations. This is particularly important for design & technology as a relative newcomer without the gatekeeper status of mathematics and science. And engineering is not marginalized having a complete chapter to itself with a significant contribution from Professor Matthew Harrison, until recently Head of Education at the Royal Academy of Engineering. The book has contributions by several other distinguished educators: a foreword by Sir John Holman, input on the links between design & technology and mathematics and science from Professor Celia Hoyles and Torben Steeg and collaborative case study work concerning links between physics and design & technology from Peter Campbell. The international dimension is supported by describing STEM activities in different parts of the world and including the thoughts of educators from Israel, Argentina and Brazil. The final chapter concerns future visions of STEM and returns to the ever-important idea of conversation – between teachers in their own discipline, with colleagues from other disciplines, with senior leaders, with students and their families, in the wider school community and within and across the various professional bodies that represent and engage with STEM education. These conversations alone will be insufficient to implement any vision but without them we believe that however attractive and worthwhile the vision, it will not become a reality. Looking sideways at what your colleagues are doing and talking to them about what you are doing is vital. Such conversations are the starting point for change. This entry was posted in Curriculum development, Curriculum Politics, Publication by dbarlex. Bookmark the permalink.